Images of the 2014 Williams F1 car, the FW36, have been released by the team ahead of the car’s track debut next week. The images are computer generated, rather than being photographs, but they show the distinctive features of the car quite well. The most striking feature is the lower, narrower nose required by the new technical regulations. It’s expected that most of the teams will have similar nose solutions, which is not likely to be met with much enthusiasm by F1 fans. By comparison, the 2012 stepped noses looked sleek and subtle. Among the other noticeable changes are the longer sidepods, which have been required for safety reasons, the narrower front and rear wings and the exhaust, which now exits at the back of the car rather than on the sides as seen in the last few seasons. 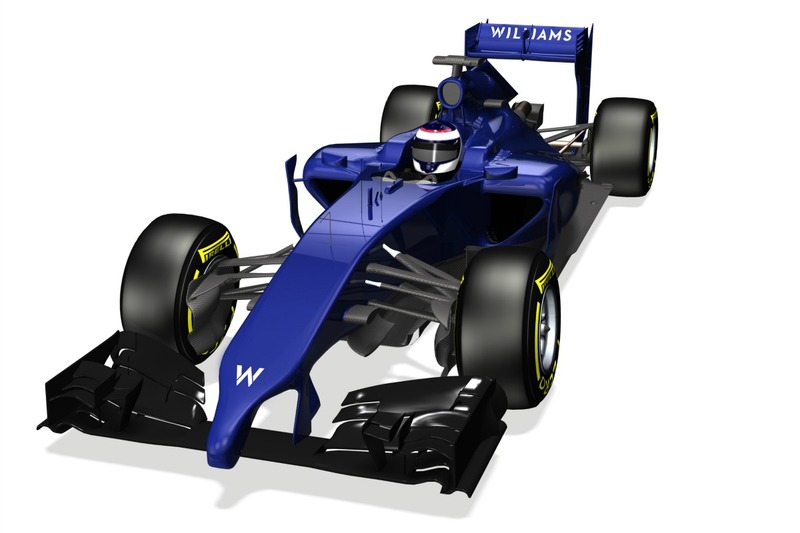 The images have been presented in the team’s blue testing livery. Their race livery will appear on the car at a later stage.